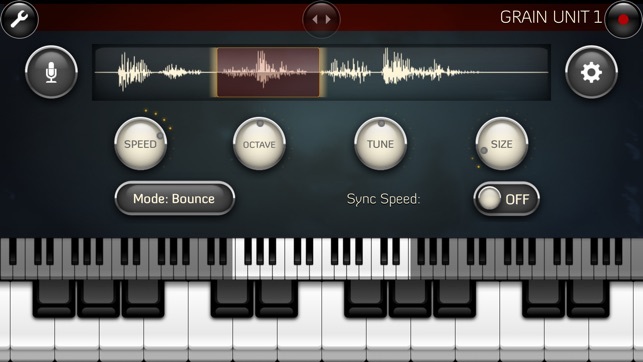 The outstanding hybrid synth for iPad, iPhone and iPod touch! 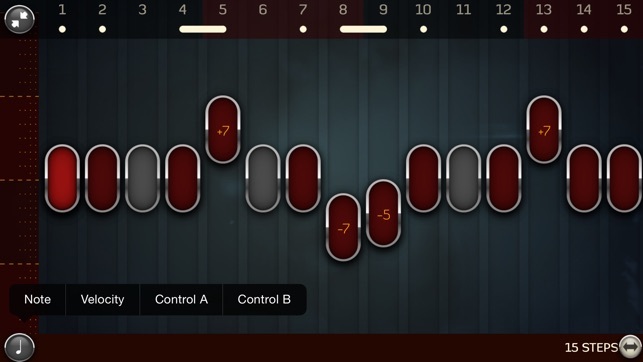 Grain Science is a beautiful synthesiser for iOS. Designed for musicians, soundscape artists and SFX engineers who want to go beyond our Sylo Synthesiser, Grain Science is built on similar principles of granular synthesis, but is vastly more powerful. Unlike many “experimental” granular apps, Grain Science mixes it up with traditional synthesis techniques to bring you an exciting hybrid synthesiser. Using careful optimisation techniques we provide two grain units per voice, which you can combine for morphing or complex modulated sounds, then send through a configurable FX chain. Pick any 4 from the collection of FX units (including various types of distortion, high- and low-pass filters, phaser, flanger, chorus, resonance and echo), and connect them up in any order. Other audio tweaks include soft loop, reverb, glide and supercharger controls, and the ability to affect granular synthesis in realtime (live grainbending). Also featured are an arpeggiator with both chord and step-sequence modes; Core MIDI support, including Virtual MIDI, background audio, and “tap & twist” learning for setting up controls; and a customisable performance screen with a collection of XY Pads and wheels. Rounding it off, Grain Science plays nicely with others: Dropbox, Twitter and email integration are all included, for sharing or exporting your waveforms, recordings of your performances, and instrument (patch) designs. And now featuring Audiobus support to stream your performance live to other compatible apps! Some fantastic sounds. Highly recommended. Thanks for the update, Wooji Juice! 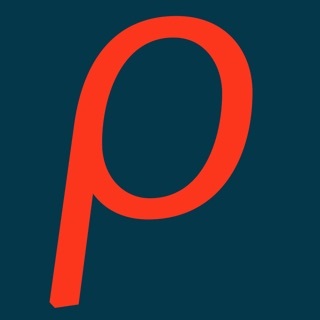 This excellent app, which I purchased for the 5th gen iPod Touch running iOS 8, is a very polished, professional, and modern synthesis engine. 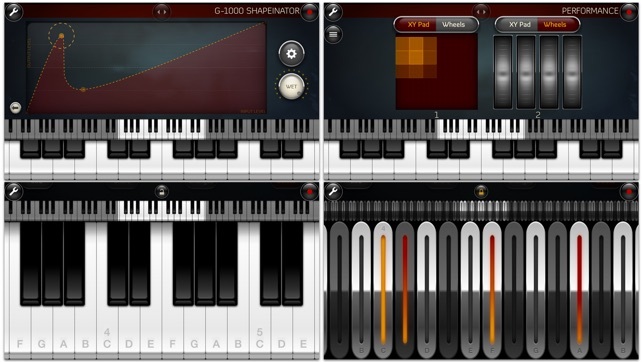 If you are interested in creating new music with different soundscapes, timbres, and textural effects, then this is the app for you! It works very well on the smaller screen of the Touch, and there has pretty much all of the interface amenities and functional features that the iPad version has. I would recommend looking at their tutorials/videos, and also reading the granular synthesis chapter in Curtis Roads book "Microsound" as kind of a theoretical background for working in Grain Science. 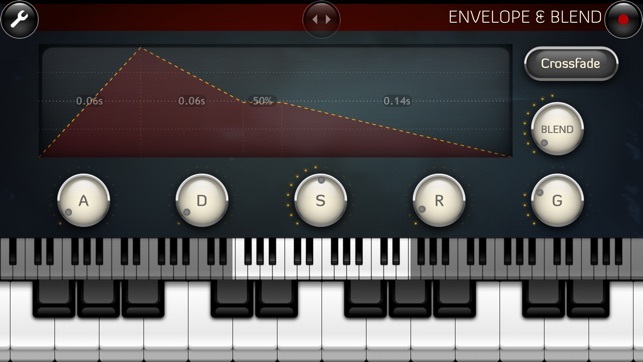 I was considering buying a Kurzweil synth, but this app is better! I haven't even begun to scratch the surface of what it can do. Looking forward to MIDI interfacing it with a keyboard. Basically, I want to use it as an ambient background soft machine, plus some leads in recording and performance. Thanks to Wooji Juice for providing such a beautiful tool to musicians! WoojiJuice has outstanding and very responsive, helpful customer service. I wrote a series of emails to their chief developer, and got back many hints, suggestions, and basic information. Incredibly good!